Boo that the USPS has to raise their postage rates. (It’s understandable, gas prices have skyrocketed since 2002… did you know that for every penny per gallon gas prices go up, it costs the USPS $8 million annually?) 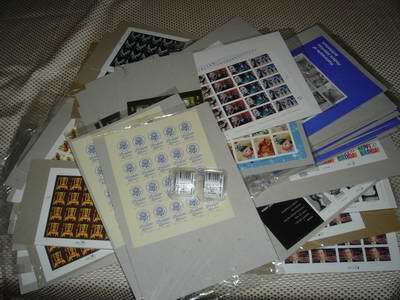 I have a WHOLE BUNCH of unused stamps from my crazy insomniac postage buying spree™. Unfortunately, I’m probably going to have to buy a whole bunch MORE stamps in all kinds of small denominations to make up for the rate increase that is effective January 8. The jozjozjoz.com archives for Sunday, January 8th, 2006.